Are you a better distance runner or sprinter? Have you ever wondered why is that so? The answer is simple: muscle fibers. 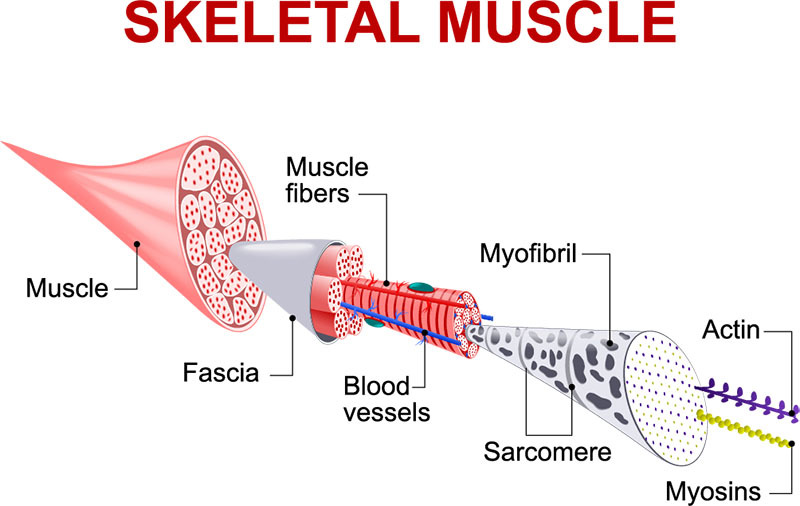 Skeletal muscle is composed of different muscle fibers and these are composed of functional units called sarcomeres. Within each sarcomere are the myofibrillar proteins myosin (the thick filament) and actin (the thin filament). The interaction of these 2 myofibrillar proteins allows muscles to contract.. Each myocyte contains many myofibrils, which are strands of proteins (actin and myosin) that can grab on to each other and pull. Type I fibers are characterized by low force/power/speed production and high endurance, The slow twitch muscle fibers are more efficient at using oxygen to generate more adenosine triphosphate (ATP) fuel for continuous, extended muscle contractions over a long time. They fire more slowly than fast twitch fibers and can go for a long time before they fatigue. Therefore, slow twitch fibers are great at helping athletes run marathons and bicycle for hours. Type IIB fibers are characterized by high force/power/speed production and low endurance. These fast twitch fibers use anaerobic metabolism to create energy and are the “classic” fast twitch muscle fibers that excel at producing quick, powerful bursts of speed. This muscle fiber has the highest rate of contraction (rapid firing) of all the muscle fiber types, but it also has a faster rate of fatigue and can’t last as long before it needs rest. Type IIA fall in between the two. These fast twitch muscle fibers are also known as intermediate fast-twitch fibers. They can use both aerobic and anaerobic metabolism almost equally to create energy. In this way, they are a combination of type I and type IIB muscle fibers. This range of muscle fiber types allows for the wide variety of capabilities that human muscles display. On average, people have about 50 percent slow twitch and 50 percent fast twitch fibers in most of the muscles used for movement. Muscle fibers are organized into motor units grouped within each muscle. A motor unit is simply a bundle or grouping of muscle fibers. When you want to move, the brain nearly instantaneously sends a signal or impulse through the spinal cord that reaches the motor unit. The impulse then tells that particular motor unit to contract it’s fibers. The body recruits the lower threshold motor units first (slow-twitch), followed by the higher threshold motor units (fast-twitch) and continues to recruit and fire motor units until you’ve applied enough force to do whatever it is you’re trying to do regarding movement. When you are lifting something extremely heavy or applying a lot of force your body will contract practically all the available motor units for that particular muscle. Type I muscle motor units contract less forcefully and a little slower then type II motor units and they reach peak power slower. This is why you can sit and eat all day or play Playstation all day and never get tired! The type II motor units are capable of greater levels of absolute force than type I and also fatigue a lot quicker. Type IIA and IIB are capable of roughly the same amount of peak force, but the IIA fibers take longer to reach their peak power in comparison to type IIB. Fast twitch fibers don’t like high volumes or long durations of work. They don’t even like a high frequency of work. If we go back to our ancestral roots, fast twitch IIB fibers were used only in times of stress situations. These would include running away from a predator, fighting, chasing food, or other brief explosive muscle action. They were only active for a few minutes per day at most. Since they weren’t used often the body had no real need to sacrifice them for a more efficient fiber. Sedentary people are the same way and have more fast twitch IIB muscle than athletes as the use of their fibers is limited and there is no need for their bodies to make more efficient adaptations. Muscle fibers can adapt to changing demands by changing size or fiber type composition. 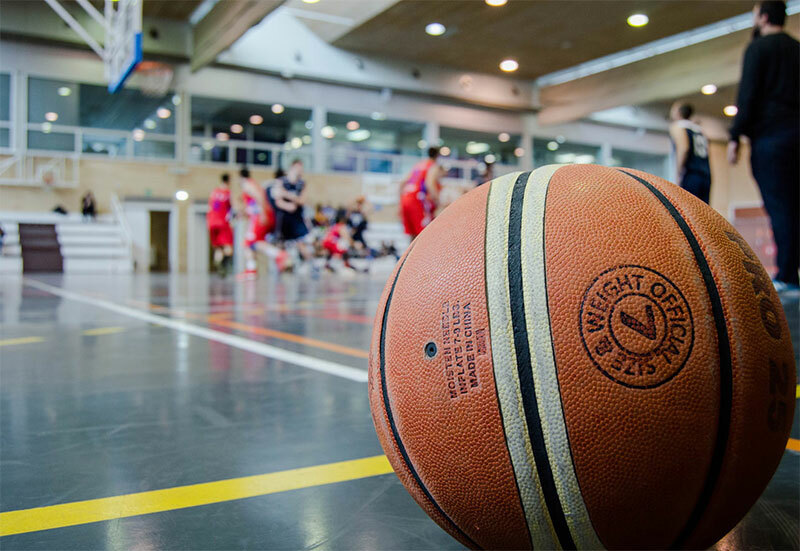 This plasticity serves as the physiologic basis for numerous physical therapy interventions designed to increase a patient’s force development or endurance. There is evidence that muscle fibers not only change in size in response to demands, but they can also convert from one type to another. This plasticity in contractile and metabolic properties in response to training and rehabilitation allows for adaptation to different functional demands. Fiber conversions between type IIB and type IIA are the most common, but type I to type II conversions are possible in cases of severe deconditioning or spinal cord injury. Less evidence exists for the conversion of type II to type I fibers with training or rehabilitation, because only studies that use denervated muscle that is chronically activated with electrical stimulation have consistently demonstrated that such a conversion is possible. Changes in the muscle fiber types are also responsible for some of the loss of function associated with deconditioning. Some of the loss of muscle performance (decreased force production) due to aging does not appear to be only due to the conversion of muscle fibers from one type to another, but largely due to a selective atrophy of certain populations of muscle fiber types. With aging, there is a progressive loss of muscle mass and maximal oxygen uptake, leading to a reduction in muscle performance and presumably some of the loss of function (decreased ability to perform activities of daily living) seen in elderly people. Age-related loss of muscle mass results primarily from a decrease in the total number of both type I and type II fibers and, secondarily, from a preferential atrophy of type II fibers. Atrophy of type II fibers leads to a larger proportion of slow type muscle mass in aged muscle, as evidenced by slower contraction and relaxation times in older muscle. Fortunately, physical therapy interventions can affect muscle fiber types leading to improvements in muscle performance. Physical therapy interventions can be broadly divided into those designed to increase the patient’s resistance to fatigue and those designed to increase the patient’s force production. Evidence is lacking to demonstrate that type II fibers convert to type I with endurance training, although there does appear to be an increase in the mixed type I and IIA fiber populations. Researchers have found that type I fibers become faster with endurance exercise and slower with deconditioning. High-intensity resistance training (high-load–low-repetition training) results in changes in fiber type similar to those seen with endurance training, although muscle hypertrophy also plays an essential role in producing strength gains. Initial increases in force production with high-intensity resistance training programs are largely mediated by neural factors, rather than visible hypertrophy of muscle fibers, in adults with no pathology or impairments. Even so, changes in muscle proteins, do begin after a few workouts, but visible hypertrophy of muscle fibers is not evident until training is conducted over a longer period of time (>8 weeks). Although the trends in fiber type conversions are similar for endurance training and resistance training, differences in physiological changes that occur with each type of exercise are also important. Endurance training increases the oxidative capacity of muscle, whereas training to increase force production of sufficient intensity and duration promotes hypertrophy of muscle fibers by increasing the volume of contractile proteins in the fibers. I´ve just found a new video editing app that I think you may like too. It´s Lumen5 and turns your blog post into videos with no effort and lots of fun. You enter the link you want to convert and they find related images and animations. You choose what you like, edit a little bit, add your logo, find music, and ready to download and share!